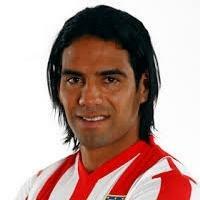 Radamel Falcao García (soccer player). He/she was born on 10 February 1986, his/her birthplace is Departamento del Magdalena, mide 1.77. There is information in Classora Knowledge Base about 7 rankings, reports and surveys.